Microsoft’s upcoming flagship tablet, Surface Pro 4 might end up bridging the gaps between laptops and tablets after all thanks to its impressive hardware specifications and portable form factor. 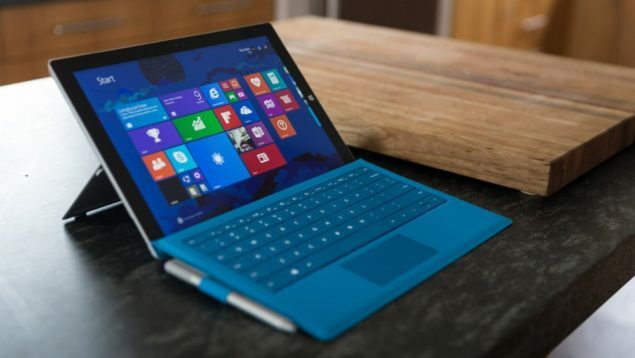 This is perhaps one of the reasons why suppliers will reportedly be seeing a 50 percent increase in volume for the upcoming slate compared to its predecessor, Surface Pro 3. As stated earlier, Surface Pro 4 models are going to feature Intel’s Skylake processors instead of the company’s Core M lineup. While these Skylake will still be processed under the company’s 14 nm manufacturing process, they will still provide the much needed horsepower and efficiency required to turn Surface Pro 4 in to an effective mobile machine. Additionally, it was also reported that the upcoming tablet will be boasting a 4K resolution, along with screen size models that will be in between the range of 12 to 14 inches. We also reported that pricing details will range between $500 and $1300, which is a much better offer compared to the price tag that Surface Pro 3 was stamped with. The upcoming slate will be running with Windows 10 right ‘out of the box’, which is something that we have been waiting for. As for the RAM count, we suspect that 4 GB is going to be present on the base model, and will work its way up depending upon the price tag it carries. While there is no mention of a release date, Surface Pro 4 is expected to be announced during sometime in October, so we will keep our fingers crossed and hope that the upcoming tablet does not disappoint us.